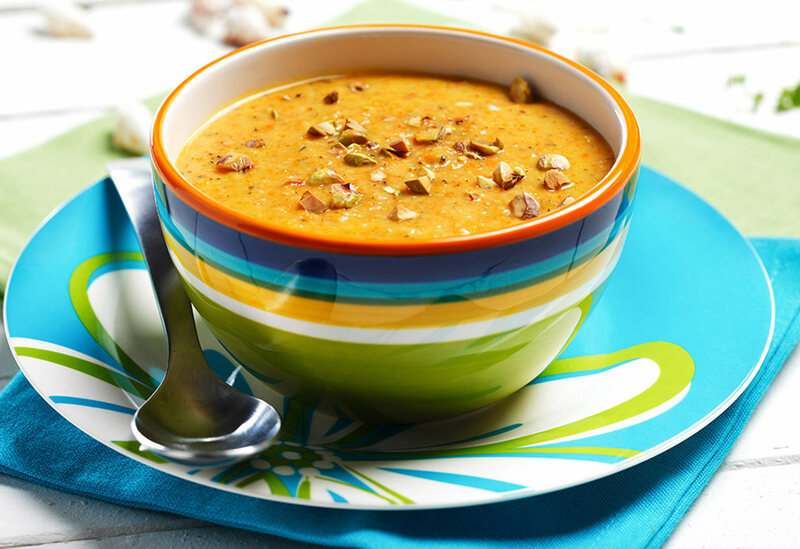 This silky soup is rich with flavor and colorful. Roasting the carrots and cauliflower first in canola oil allows the vegetables natural sweetness to shine through. 1. Preheat oven to 350 ºF (180 ºC). 2. On baking sheet, place carrots, cauliflower, onion and garlic. Sprinkle with thyme, rosemary, salt and pepper. Pour canola oil over vegetables, toss and cover with foil. Roast in oven for 20 minutes. Remove foil cover and roast for 15 more minutes or until golden color. 2. In large stockpot on medium heat, combine flour, chicken stock, milk and wine. Stir to incorporate flour. Add roasted vegetables. 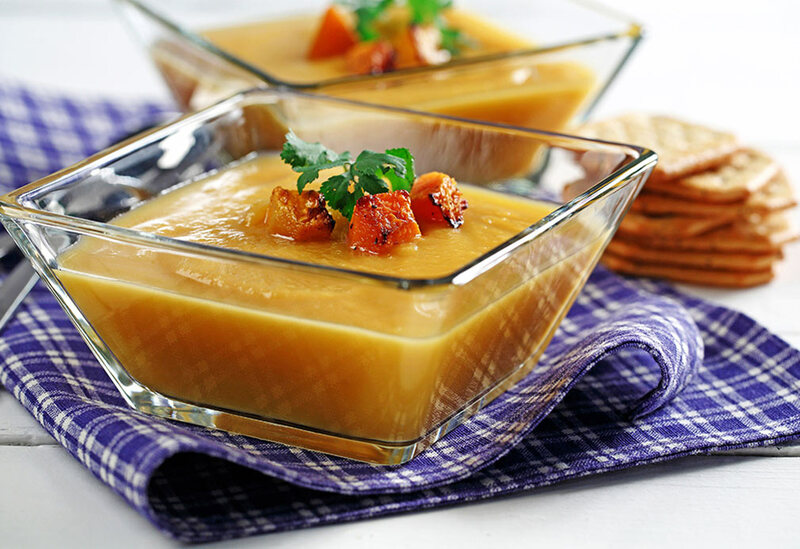 Use immersion blender to blend ingredients until soup has smooth texture. 3. Simmer soup over medium heat, stirring occasionally, for 10 minutes to let flavors blend. Serve hot in bowls or cups and garnish with toasted pistachios. 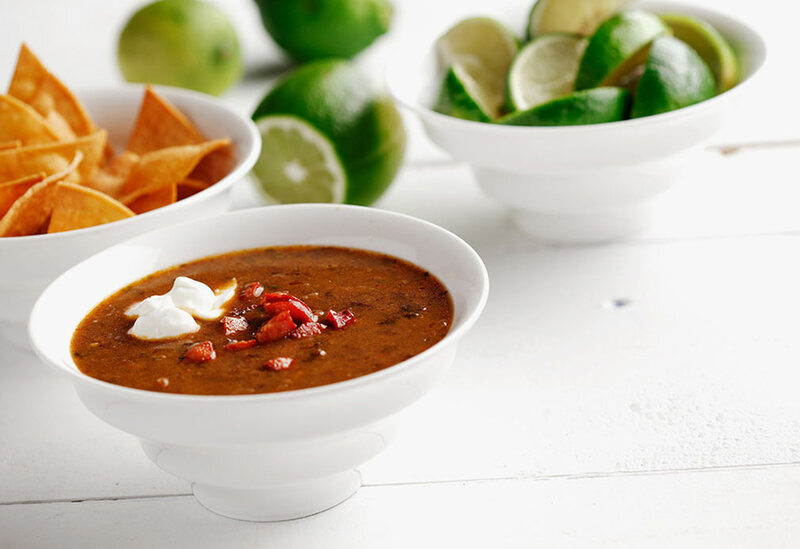 This hearty bean soup will warm you up on a cold winter day. 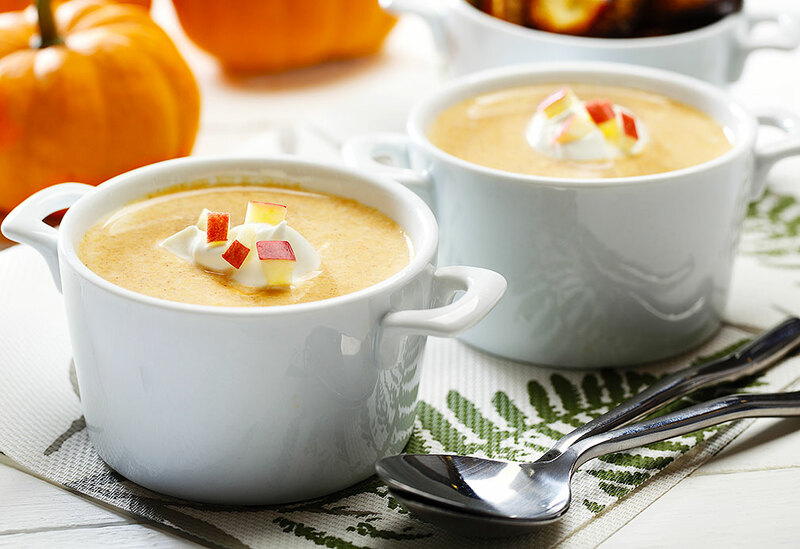 This hearty soup combines the earthiness of pumpkin with the sweeter notes of apple juice and a little spicy kick. Canola oil is ideal for sautéing thanks to its high heat tolerance, plus its light, neutral taste lets subtle flavors pop. Curl up by the fire and enjoy the taste of winter with this decadent soup.